The last meal I ate was a mushroom burger at an artisan farmer’s market. Lolo, the man who prepared it, is French, and takes intense pride in everything he does. He forages for the mushrooms himself. The lettuce and tomato are organic, and I know the man who grows them. The bread is baked locally and he carefully chooses the right type to compliment the flavours of the sandwich. 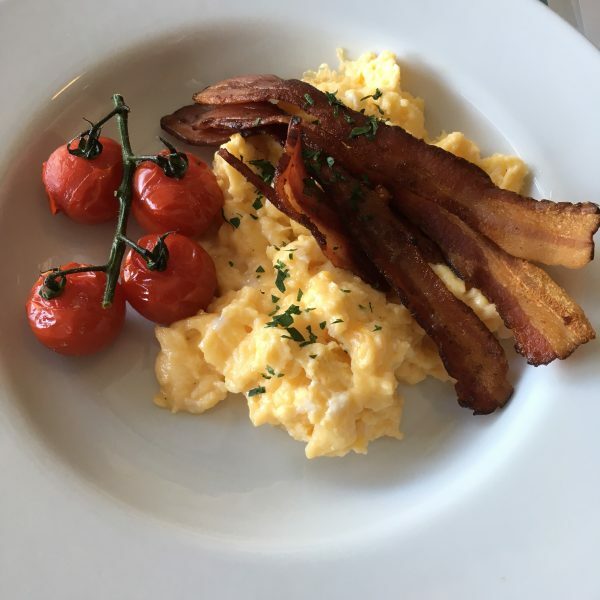 There are a few slices of crispy bacon, and while I don’t personally know the pig, I do know the farm the pig came from. All the flavours are brought together with a careful selection of condiments. Lolo uses mayonnaise and bearnaise sauces. The mayonnaise does not come from a jar. He blends the oil and egg himself on the morning of the market. Making the perfect sandwich does not happen by chance. It happens because someone takes care with every step of the process. Often after a perfect experience we say I could die happy now. While the mushroom burger was not that good, if it was my final meal I could not complain. I would have gone out on a good note. Why are my thoughts wending in such a morbid direction? By chance, really. Every author is different. Some bask in the limelight, and collect every review and clipping. Some read the reviews and let them go. Some, like me, find ourselves completely divorced from everything that happens once we deliver our precious manuscript up to the publisher. I consider the job done at that stage, and I lose interest. I don’t seek out the reviews, and probably won’t read one unless someone puts it in front of me. I don’t take pride in seeing my work on the shelves (though it worries me if I don’t – got to think of the bank balance!). I don’t have clippings. Actually, I don’t even have copies of many of my books. The publishers always send me a box of complimentary copies. One used to go to my father, but he has passed on now. One goes to my ex, who has the full collection. The rest go to friends, or are given out as spot-prizes whenever I am touched for a charity raffle prize. Some I have left in the lobbies of nursing homes or hospitals. Many have gone over the years to reporters doing articles on me, articles I have not always read. But this is the age of the internet, and no one can hide. Amazon uses some strange algorithm to target potential readers. So I often see ads for my own books show up on random Facebook pages, and often get emails recommending I read something I wrote. Their algorithm doesn’t realize I probably read it already, during the editing phase. Recently I got an email of daily recommendations from Bookbub.com (subscribe, if you haven’t already). 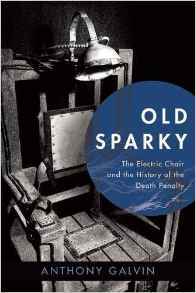 Up came Old Sparky, my history of capital punishment in America. It was described as a New York Times bestseller. This came as a surprise to me, so I googled. Sure enough, last May the book dipped into the shallow end of the bestseller list. Number 13 for non-fiction digital books. Not the rarefied waters James Patterson swims in, but good enough for me. I must admit, which surprised me, that I felt a little thrill. It wasn’t my first taste of the bestseller list. My thriller The Christmas Killer was briefly sandwiched between Michael Connelly and James Patterson on Amazon’s top psychological thriller category. And my first book, Family Feud, was the Christmas number one in Ireland. I never saw that one on the shelves, because it had another dubious honour – the most shoplifted book in the country. So many copies were taken that after a few days shops gave up on shelves, and the book was held under the counter. Both books occasionally show up as Amazon recommendations for me. But it was Old Sparky’s appearance that got me thinking of last meals. If you knew you were about to die, what would be the last taste you wanted in your mouth? The last song you wanted to listen to? The last book you wanted to read, the last hand you wanted to hold? We don’t get to make those choices because death creeps up on us with little fanfare. But those on death row do make some of those decisions. They at least get to choose their last meal. And their choices seem to fascinate people. Some, like domestic terrorist Timothy McVeigh, go for comfort food – two pints of mint ice-cream. Or fried chicken, fries, and a Dr Pepper. Or mash and goulash. Some, like Ted Bundy, don’t attach any importance to the meal, and opt for the standard prison fare. Some put in an order and don’t touch the food. Perhaps the fear gets to them. Still others try to piss off the prison authorities one last time, by asking for something outrageous. White supremacist killer Lawrence Russell Brewer asked Texas authorities for two steaks with gravy and onions; a triple-patty bacon cheeseburger; a cheese omelet with taco beef; a bowl of fried okra, a pound of barbeced meat and half a loaf of white bread; three fajitas; a pizza; a pint of ice-cream; a slab of fudge; and three root beers. He ordered enough food to feed the entire wing. The prison authorities spent several hundred on the meal. Brewer looked at the feast and announced he was no longer hungry. He didn’t touch a bite. Texas abolished the last meal after that. Some requests are just odd. Gerald Lee Mitchell asked for a bag of assorted Jolly Ranchers (he got them), while James Edward Smith asked for a lump of dirt, to be used for a voodoo afterlife ritual. He got a tub of yogurt instead. Victor Feguer asked for a single olive. He hoped the pip might grow into an olive tree over his grave, making him a symbol of peace. I just hope he wasn’t cremated! But the one that always touches me is the last meal of Ricky Ray Rector. He was executed in 1992, when America still allowed mentally handicapped inmates to face the needle. He asked prison guards to hold over a piece of pecan pie, which he was saving for later, after the execution. To me this sums up everything that is wrong with the concept of capital punishment. 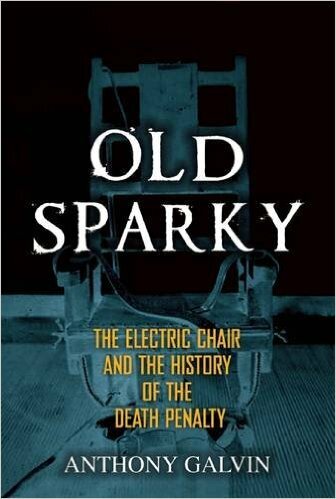 ‘Old Sparky’ by Anthony Galvin is available from good book shops and online.